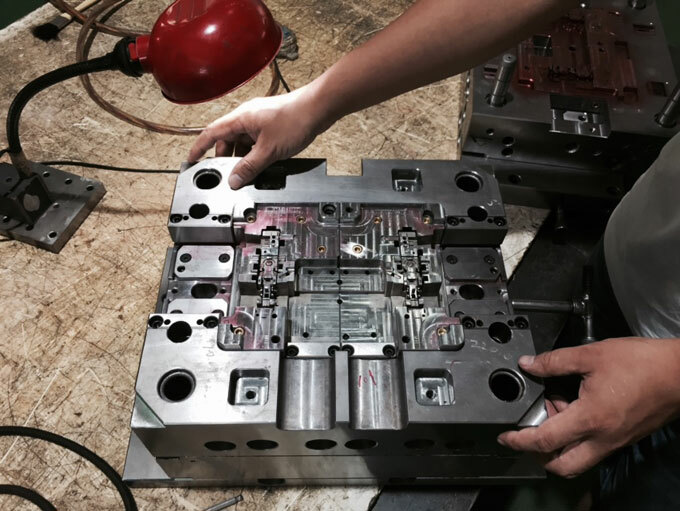 In the plastic injection moulding process, when adopt multiple gates or there is holes and inserts in the cavity, and the thickness of injection moulded parts changes greatly, the plastic melt will flow to more than two directions in the injection mould, when the two strands plastic melt meets, it will form a weld line in injection moulded part. According to the different production methods, the weld lines can be divided into hot-melt lines and cold-melt lines. From the apparent point of view, the weld line has a curved shape, but also approximate to a straight line. From the product thickness section view, the weld line is on the outer surface, there is also a depth in the surface layer is a V-shaped groove marks, and even some through the entire wall thickness section. If the plasticization is poor and the melt temperature is not uniform, the moulding cycle can be appropriately extended to make the plasticization more complete. 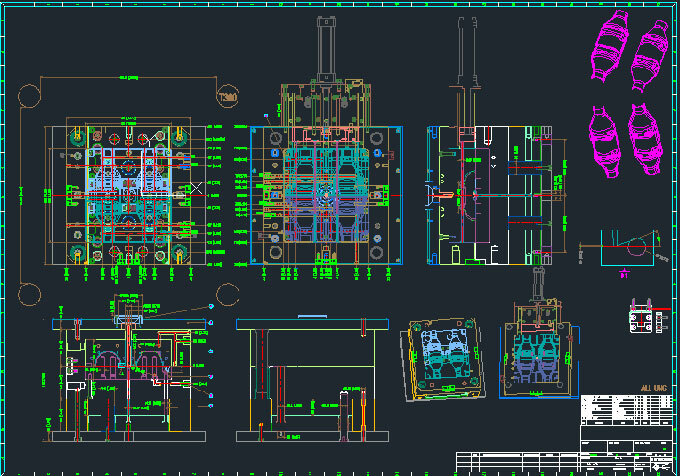 If necessary, replace the machine with large plasticization capacity. 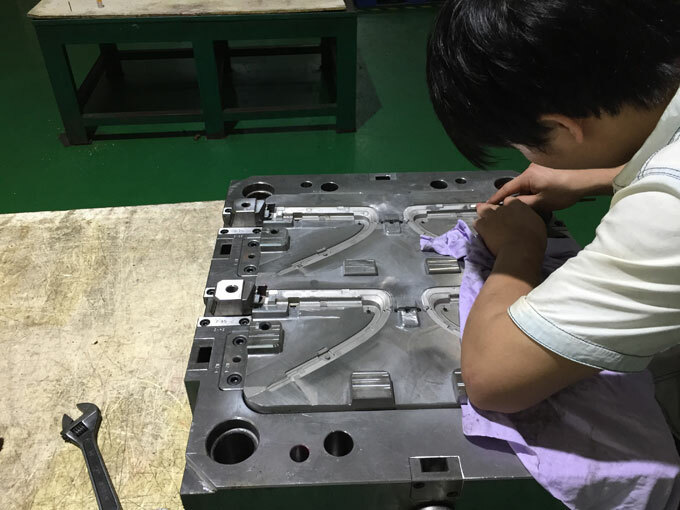 If the temperature of injection mould is too low, the mould temperature should be appropriately increased or the local temperature of the weld line should be purposely increased. The gate section can be expanded or reduced, and change the gate position. The setting of gate should avoid the melt flowing around the inserts and holes. The gates that is used for injection and filling should try to correct, migrate, or add block buffers. Try to don't use or use less multiple-gates. The raw materials should be dried and minimize the liquid additives in the formula. Add lubricants and stabilizers appropriately to plastics with the poor fluidity or the high heat sensitivity. If necessary, use plastics with good flow ability or high heat resistance. Increase the injection pressure, extend the injection time. Adjust the injection speed, high-speed can make melted material have no time reducing temperature and reach the confluence location. Low-speed can let the air within the cavity has time to discharge. Adjust the temperature of the barrel and the nozzle, the strength of plastic with high temperature is small, the smooth flow make the weld line thinning.